Arrested for a DUI in DuPage County? 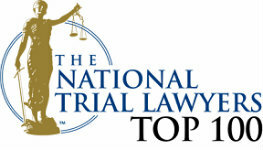 The DuPage DUI Defense team at John W. Callahan, Ltd,. has helped thousands of clients in DuPage County with their DUI arrest. If you have been arrested for a DUI in Naperville, Carol Stream, Wheaton, Elmhurst, or any other city in DuPage County you should contact our office immediately. What are the 3 things you need to do after a DUI arrest in DuPage? 1. Attack the suspension and protect your driver's license. There are some very important things you should do right away after being arrested for a DUI in DuPage County. First, you should attack the summary suspension of your driver's license. How do you attack the summary suspension in DuPage? As soon as the officer gives you the notice of the summary suspension at the police station, the Secretary of State will take steps to suspend your driving privileges 46 days from the DUI arrest. Don't let that happen. We attack the suspension and fight for you against your license ever being suspended. The way we do this is to file a Petition to Rescind the Statutory Summary Suspension immediately after you meet with us following the DUI arrest in DuPage. If the prosecution is not ready to proceed within 30 days following the date we wiled your petition, the State will not be able to suspend your license. This means that by attacking the DUI arrest and filing the Petition to Rescind the Suspension right away, you have a good chance to not lose your license for even one day. Many of our DuPage DUI clients walk away from the DUI without ever having served even one day of the suspension. Even better, many of them have the suspension completely removed from their records so that it never appears on their driving record with the Secretary of State. The nest step in defending your DuPage DUI is to preserve the record in your case. When the DUI Defense team of John W Callahan are retained in any DUI stemming from Carol Stream, Naperville or Wheaton, we subpoena all of the police reports including any 911 tapes or radio dispatch traffic from the police department. This forces the prosecution to prove your case and, quite often, the video evidence we receive from our subpoenas shows that the police officer had little reason to believe you were under the influence of alcohol while driving. Most of the time the police in DUI arrests over exaggerate just how poorly you performed on the field sobriety tests – when we subpoena and review the video of the DUI arrest, we can use it to cross examine the police officer, making him look less believable in front of the judge. This gives you a great chance to win your case. The final step is to make sure that you fight the DUI charges in court. DuPage county and especially the cities of Naperville, Carol Stream, Wheaton and Itasca are notorious for making thousands of DUI arrests every year. They are professionals at setting up speed traps and waiting for patrons of bars to commit a minor driving infraction. Then they pounce! 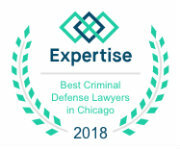 You need to aggressively defend your case in court and this means that you need an experienced DuPage defense lawyer who can help you thwart the police officers testimony in court. You need someone to stand between you and the prosecution and defend your record. The law office of John W Callahan, Ltd., has successfully represented thousands of DUI cases over the past twenty years and we have the experience and know how to help you in DuPage County with your DUI case. Click on any of the phone numbers on this page or call us direct at 847-517-4136 to help begin your aggressive DUI Defense in DuPage County!